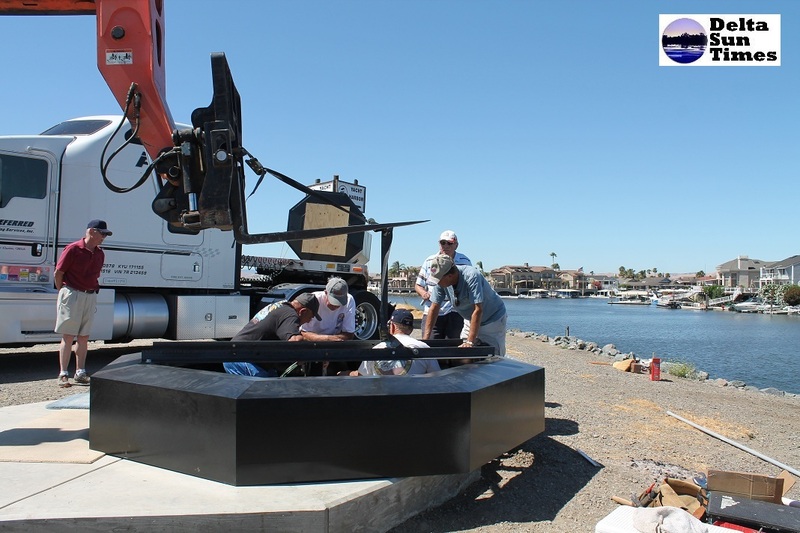 (Tuesday, June 18) —- Discovery Bay has a new landmark. A Lighthouse. 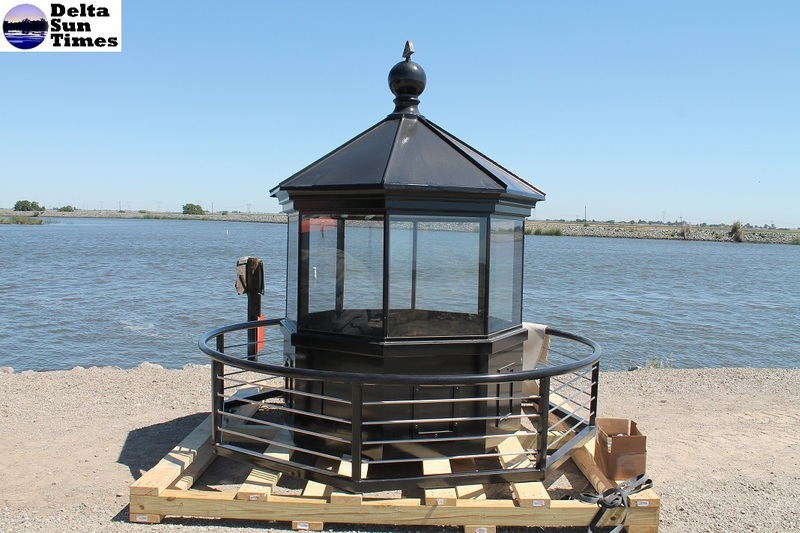 The new, 36-foot lighthouse now sits at the water entrance to Discovery Bay at the levy point on Indian Slough, leading down to the Discovery Bay Marina. The lighthouse is solar activated. It’s beam will shine when the sun goes down, guiding Discovery Bay boaters home. The lighthouse is the generous donation of Discovery Bay residents, Ed and Jean Stewart. 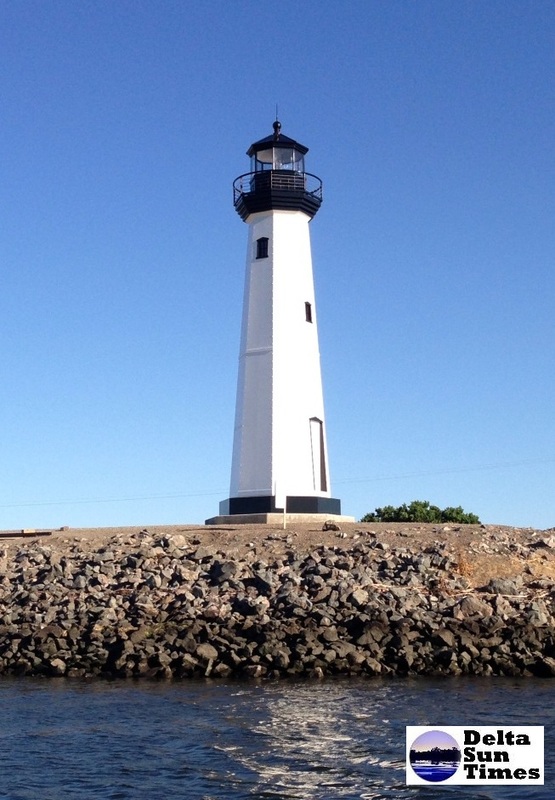 The Stewarts had seen a similar lighthouse in Texas, and commissioned the lighthouse to be made by the same builder. The construction took approximately four months, before the truck haul from Michigan to California began. The lighthouse does pull some power, 3 amps. The power is connected alongside the Discovery Bay Yacht Harbor signage, which has been in place since 1974. The levy is managed by Reclamation District 800. Spectacular! Wonder how long it will take for it to be defaced by local punks? Or perhaps the fisherman that leave all their garbage on the field side of the gate? Anyone know the address to the lighthouse? 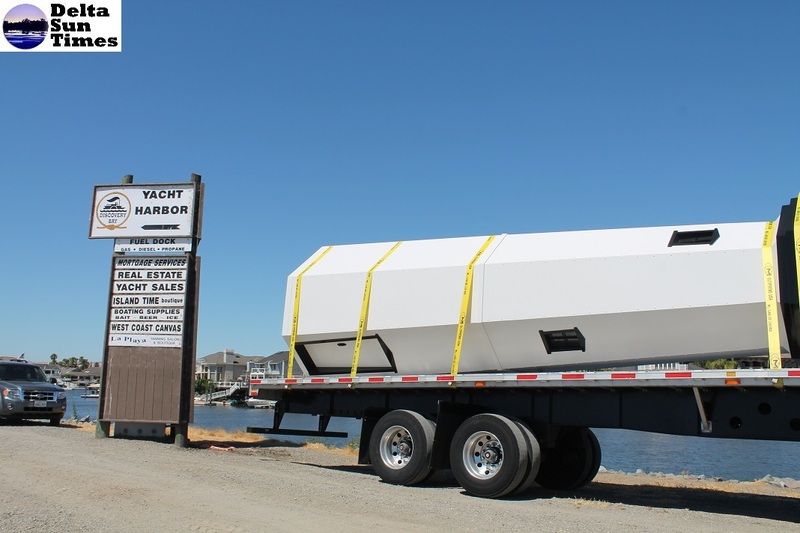 The address to the yacht harbor is 5901 Marina Road, Discovery Bay 94505. That is the closes physical address. You have to go to this address, then walk or bicycle approximately one mile down the levee to the lighthouse point. ← Lions’ Concert On the Bay Fun!